Description: There are LEDs and then there are Build Upons LEDs. Each Build Upons PTH LED in this 10 pack are brick shaped in the same form of your favorite construction block! 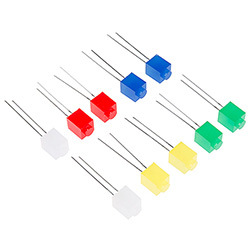 These LEDs can be easily used as novelty indicator lights, or ground effects for your existing brick sets as the tops of each LED is compatible with LEGO® bricks.